Local beauty salon and Local Mums’ favourite pampering place The May Tree has spent a month raising money for breast cancer research. The feel-good factor provided by luxury treatments and the horror of breast cancer may not be topics we usually put in the same news story. However�The May Tree�beauty salon in Carshalton was determined to use its hugely popular services to highlight the disease last month. As well as supporting Breast Cancer Breakthrough,�The May Tree�is well-known in our area for supporting local schools. “We try our upmost to support local schools and fundraise for our local area,” says Wendy. 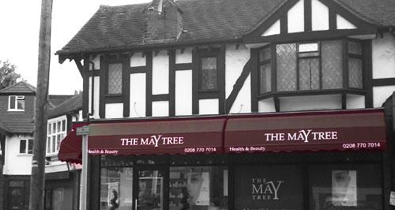 The May Tree�was established on Westmead Corner in Carshalton in 2001 and has grown a loyal and extensive client base among local mums. If you fancy trying out some of the highly recommended treatments in the gorgeous local surroundings of�The May Tree�why not give Wendy and her team a ring and book yourself a treat? 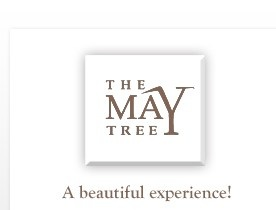 Read Carshalton Mums’ reviews of The May Tree and find out more about their treatments. Contact Wendy at�The May Tree�on 020 8770 7014 or visit their website:�www.themaytreebeauty.co.uk�for more details of the treatments available.